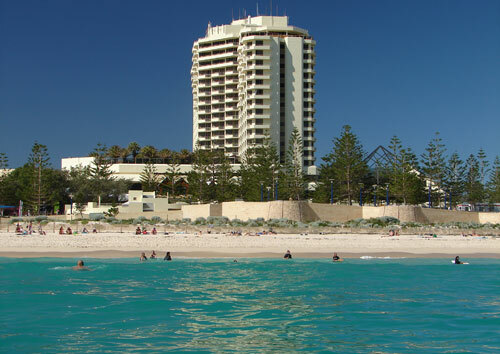 The jewel in the crown of perfect Perth beaches on the west coast of Australia. 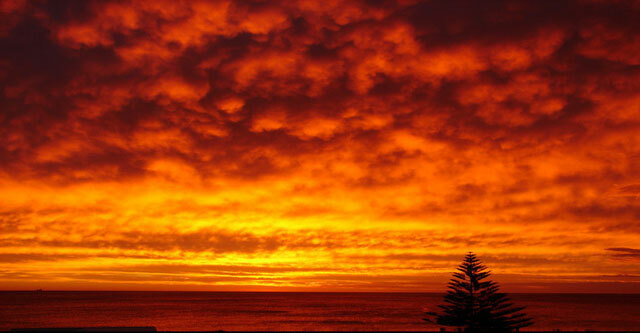 The big advantage over other Australian beaches including Bondi is the magnificent sunsets over the Indian ocean. Scarborough is undergoing big changes, starting with the beachfront amphitheatre that's opened up this beautiful beach to every-one hitting the west coast from Scarborough Beach Road. The beauty of Scarborough Beach is that you have a dazzling white sand beach right in front of you, then kilometres of white sand and beautiful blue ocean in both directions. To the right is a gorgeous sandy walk to Trigg Beach, while to the left is another wonderful walk that becomes deserted after just five minutes. Here you'll find kilometres of secluded beaches that are just perfect, as you can see below. Other changes at Scarborough include the widening of the alfresco restaurant strip, which is just wonderful on a warm night, of which there are many in Perth. next to it, and the atmospheric Peters by the Sea, with its happy Greek feeling. Run by the effervescent Yianni, this is an inexpensive cafe near Scarborough Beach with plenty of good vibes and great Indian ocean views. For accommodation, the Rendezvous Observation City high rise hotel is right there, but it's seen better days and its beachfront bar has been closed for a year. Scarborough Beachfront right next door which has long and short term accommodation near Scarborough Beach run by Joan and Ben. 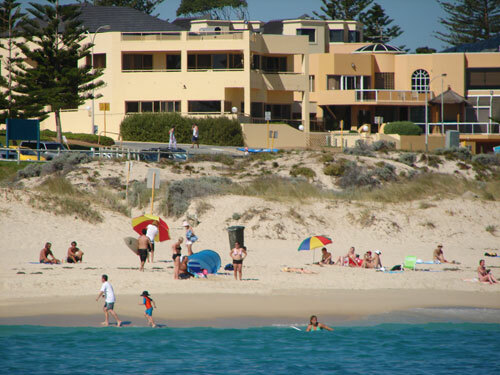 Other nice Perth beaches include Cottesloe with its pretty Indiana Teahouse and City Beach near Scarborough Beach, with more crystal clear water and pure white beach sand. Try Hillarys Marina 10 minutes north of Scarborough for ferries to Perth's favourite holiday island Rottnest, where no cars are allowed and you can cycle around the island to more beautiul beaches including Geordie Bay, Longreach and the Basin. Past Hillarys Marina, try Mindarie Keys with its beautiful turquoise water, another 15 minutes north. Scarborough really is the place to be for that perfect beach and plenty to do. Scarborough's new beachfront amphitheatre, with its grassed terraces and stunning beachfront, already hosts many outdoor activities, including the recent World beach cricket series featuring legends such as Viv Richards from the West Indies and Dennis Lillee from Australia. 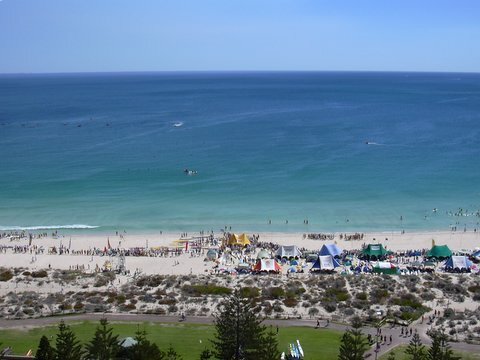 This showed Scarborough Beach at its finest on a hot day, with vivid blue water contrasting with the pure white sand. And what could be better at the end of a perfect day on a perfect beach, to have a glorious Scarborough Beach sunset across the sky, helping you realise you've come to one of the best beach holidays on earth.